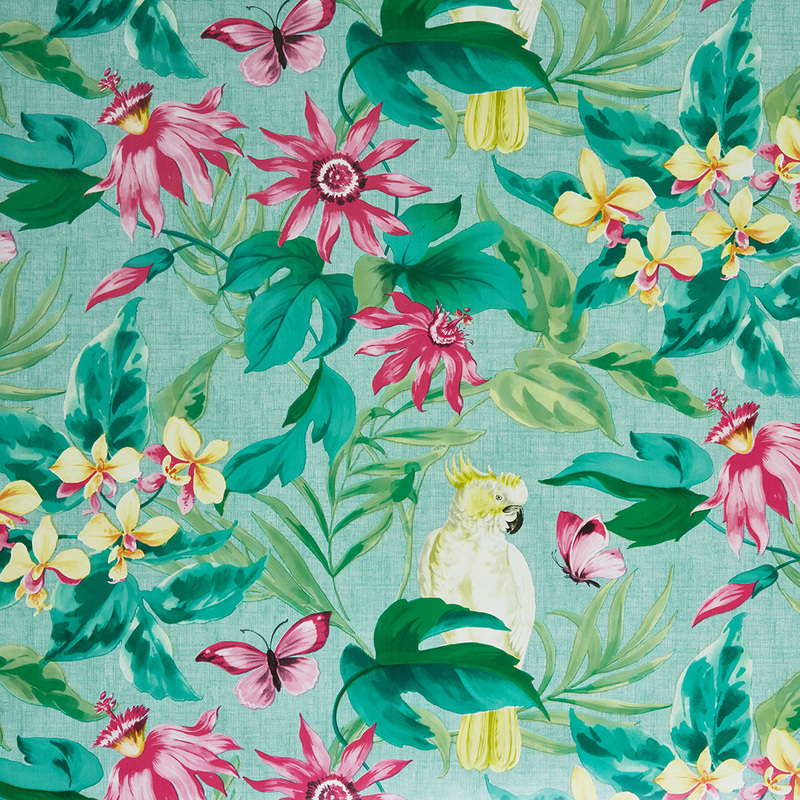 The Montego Bay Tropical Oil Cloth is a vibrant coloured easy-care oil cloth fabric with an exotic bird and floral pattern. The rich green, yellow and pink shades are a tropical paradise. ul style="margin:1px;padding-left:10px;"